Awami League (AL) chief and Prime Minister Sheikh Hasina wants a free, fair and neutral Dhaka University Central Student's Union (DUCSU) election. She is reported to be delighted that the DUCSU election is taking place after a long hiatus. The PM feels that DUCSU polls will add fillip to democracy in Bangladesh and create a platform for student politics to flourish. The PM wants the participation of all sides in the DUCSU polls. Two AL joint secretaries, Abdur Rahman and Jahangir Kabir Nanak, organizational secretary, Bahauddin Nasim and former DUCSU VP Akhtaruzzaman were give special duty by the PM to provide advice to Chhatra League. The designated leaders already had two meetings with Chhatra League central leaders of Dhaka University. The senior AL leaders asked the Chhatra League members to create a student friendly environment and arrange Swarasati Pooja with fanfare. With support from general students, we are confident of winning. 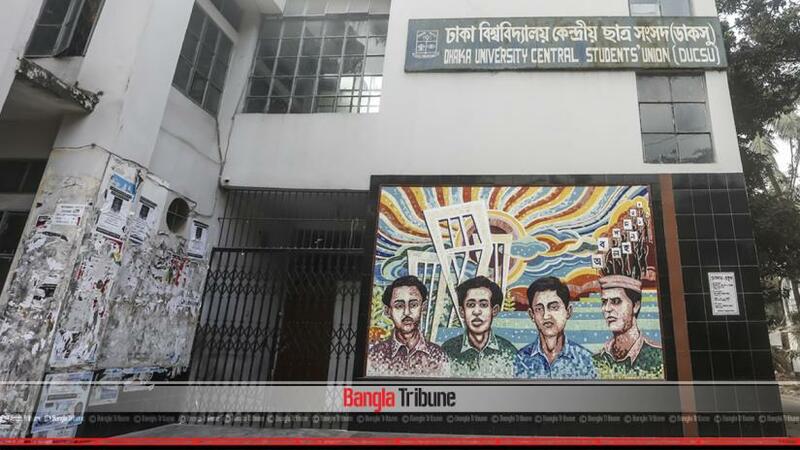 The DUCSU election will be held on Mar 11 next after a long suspension and the Dhaka University campus is abuzz with activity over the polls.